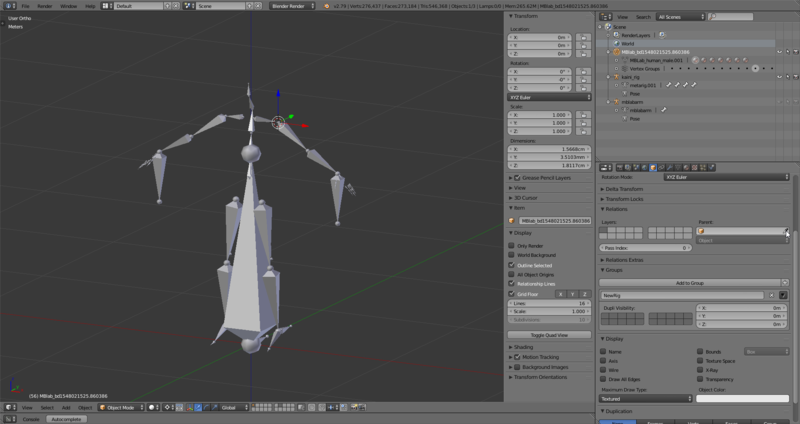 New armature: kaini_rig in the scene tree top right. I'm basically just remaking the UE4 skeleton. All I did in the above is press the X on the Parent field, where my mouse is. The eyeball icon is still active on the mesh, so I'm not sure why it is not showing. The same thing happens when I try to change the parent relation to my armature vs simply removing it. Did you notice the mesh dimensions in the 3D view sidebar? It goes from meters and centimeters to centimeters and millimeters. It's not disappearing, but shrinking to such tiny dimensions you can't see it with the armature visible. Instead of removing the parent at the Object panel, try the following: With the mesh selected and cursor on the 3D view, press Space, then Clear Parent > Clear and Keep Transformation. That should preserve the transformations affecting the mesh while it was parented to the armature, what won't happen if you simply remove the parent from the panel. Not the answer you're looking for? Browse other questions tagged mesh rigging armature unreal-engine manuel-bastioni-lab or ask your own question. 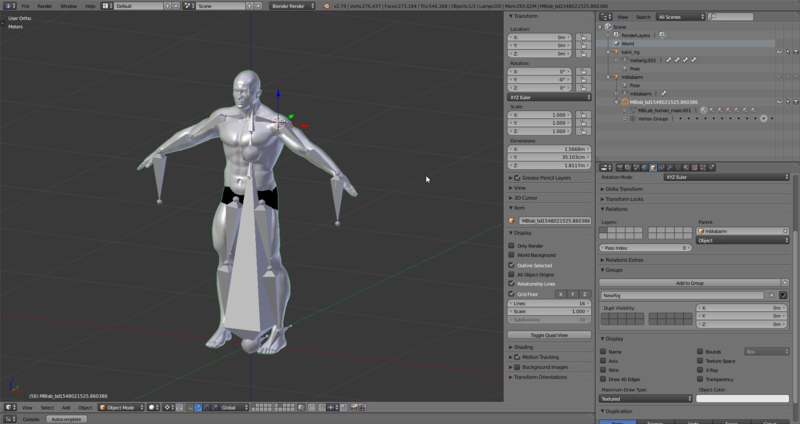 Blender Rigging process. Is skinning a must? What does this mean when I try to parent armatures together?